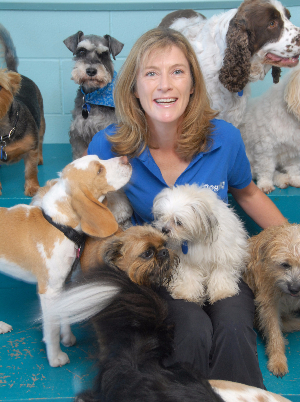 What is DogHQ Day Care? Far from being a baby-sitting service, DogHQ Day Care provides the platform for dogs to experience positive socialisation in a managed and loving environment. Dogs are highly social and intelligent animals that need both physical and mental stimulation in order to thrive. 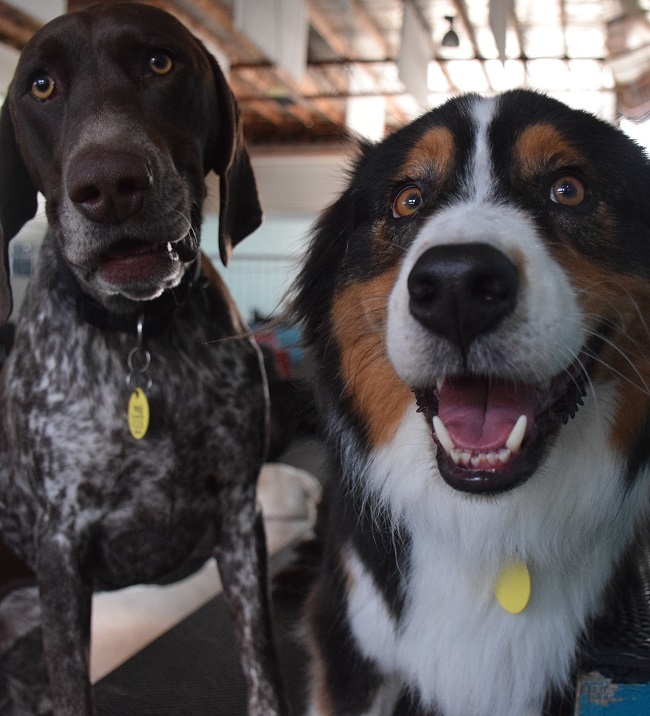 At Day Care, your dog is grouped according to age, size, temperament and play-style and each group is supervised by a human leader the whole time. Anyone wanting a robustly socialised adult dog that is easy to live with in suburbia should use DogHQ Day Care for their puppy from a young age. This is the best way to socialise a puppy and DogHQ have a special Puppy Development Programme to get your puppy off on the right paw. Young active dogs need loads of stimulation and dog play provides far greater stimulation than two walks per day. Dogs that spend large amounts of time home alone are likely to get bored and become destructive or noisy. DogHQ Day Care provides the perfect solution to this problem. Under-stimulated dogs can be hard to train due to their desire to engage with everything and everyone around them. DogHQ Day Care can solve this by giving them the stimulation they crave so you can work on your training without frustration. Overweight dogs can clearly benefit from the increased exercise that group dog play offers. DogHQ is a respected, professional business with qualified staff who are dedicated to ensuring every dog is loved, safe and happy. Your first half day of trial play is absolutely free and can be upgraded to a full day if you wish for just $25 and you'll get to take home a happy, tired dog. We will give you a report card after the first trial telling you how your dog fitted in and any recommendations going forward.